Socks and hosiery seem to be heading in an artful direction, grey-ward. Take a look at these new offerings from some avant-garde designers. 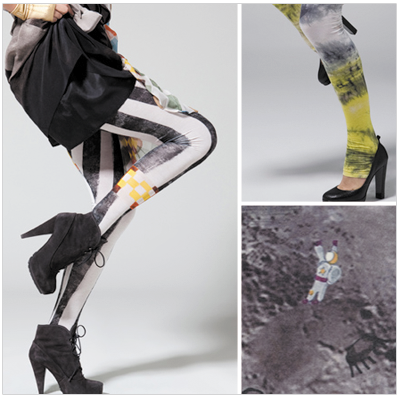 Each uses faint grey, in coordination with other colors and patterns, to create highly stylized and inventive legwear. Spotlight: We're in the Press!